We are open May 15th through Columbus Day. All rates (including cabin) based on 2 adults and up to 4 children (under 18 years old) free. Extra charge for additional adults, children & guests on all sites & rentals. We are pet-friendly, but some restrictions apply. Call for more information. Use of A/C or electric heaters extra. 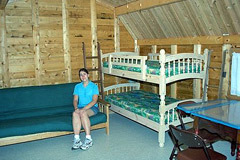 One camping unit per site, with a maximum of 6 people per site. Reservations recommended: Visa, MasterCard, Discover, cash or check. One week’s notice for refund of deposits less cancellation fee of $5.00. Check-in 2:00PM, check-out 1:00PM. No check-ins after 11:00PM. Additional charge for early arrival or late departure, if site is available. Save on gas by leaving your trailer in our parking area for just $1.00 per day. New to Country Roads? Add a Thursday or a Sunday to your weekend for just $2.00 per day! 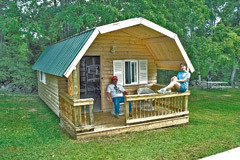 Save the expense of towing & the hassle of unpacking, by leaving your camper plugged in on site for only $2.00 per day. Available 5/29-6/15, 6/18-6/22, 9/3-9/13, and 9/17-9/30. Stay 2 nights for the price of just 1! : Father’s Day Weekend Special 6/15-6/17 Stay 2 nights for the price of just 1! Heroes’ Appreciation Weekend: 9/14-9/16. We’re saying “thank you” to all Police, Fire, Military & Emergency Services families. Bring your ID for a whopping 60% discount on camping! Columbus Day Weekend: 10/5-10/8. Stay 3 nights, but only pay for 2! *Some restrictions may apply; call us for details. Rates subject to change. 2 night minimum. Includes: electric, refrigerator/freezer, microwave, toilet, vanity sink, coffee maker. Cooking grill outside. 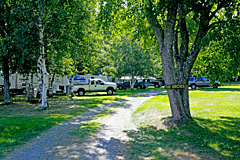 An “off site” parking area for campers is available as an alternative to a seasonal site. Call us for more information. 3 night minimum with advance reservations on all sites/rentals. Camping with water, electric, sewer & use of pavilion is available. Special rates for groups of 10 or more sites. Our large grassy area, near all facilities, can accommodate any size group for special events or private parties. Call for information. 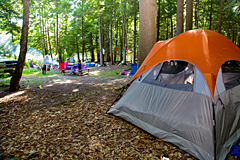 We offer FREE camping for Scout Troops (must be a troop camp-out for boys or girls). NOTE: One camping or tent per site with a maximum of 6 people per site. Important: Ydou maf6y be mcaking use of automatecd form-fialling s7o9ftw5care.7 This t7ype of sofetwbare can teriggaer our fhidden spa5m-detection s499ystem, which9 will 3block you frb0om 9su2bm3itting t9h7is form4. cI0b14t appdears thaa2t43 t2he cprobb3blem could 7na1ot be automfatica6lly co7rrectedf. Ple2ase cleaar any fieald w1h6ichf eappears b1e6low with corresponding i9nstrfuctions7b6 b9b765a18cede332f335aed6c35boda34a571c9e1r791b5197d350e7f16bee 677fd7cbomp47ldetibnge8 tahe f5orccm in order to 2corre7ct dthe299 p4r9o48blem2. bWe apo9log3ibze87 f66or 0ethbe 7in5conveani1d1ef00nced and bwe 4appre0dciaatb86e y57ou9r udnd3aae63rst0ad7nding. 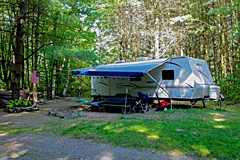 You can now make your Country Roads Campground reservation requests online. Simply complete the form below. Please understand that this is strictly a Reservation Request Form. You do not have an actual reservation until it has been confirmed, and a reservation cannot be confirmed until your deposit has been processed and authorized. For your convenience, we accept Visa, MasterCard and Discover cards. We will contact you within 24 hours via either e-mail or telephone to confirm availability and to obtain a credit card number to secure your reservation. If you need to confirm your reservation immediately or would like to make a reservation for an arrival within less than 48 hours, please call us at (518) 827-6397, in-season, during normal business hours. Holiday Weekend reservations accepted for a minimum of three nights. Remember, we are only open May 15th through Columbus Day!